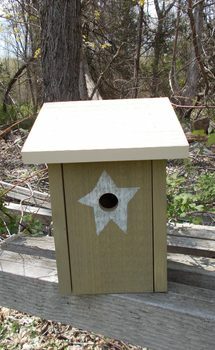 A handmade pine bluebird house made to the official BB house specs. Rough sawn pine painted Sage and white. Front Flip panel for easy cleanout.